Paper Lanterns and Pom Poms – Perfect in Pink! 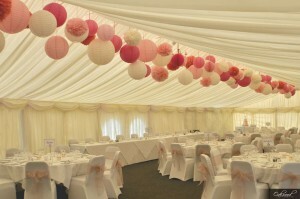 The marquee at Uplands House in High Wycombe is a fantastic blank canvas with plenty of scope for adding your own personal touches. 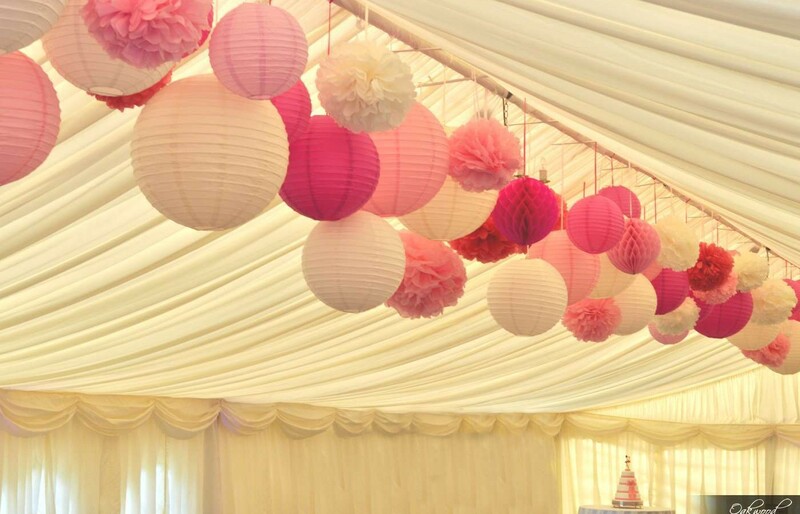 We recently installed this lovely canopy of over a hundred paper lanterns, pom poms and honeycomb balls in mixed pinks and ivory. 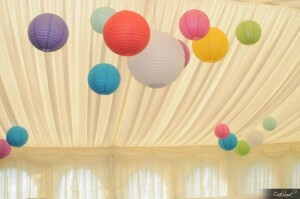 Also in the disco side of the marquee were clusters of coloured and colour-changing paper lanterns to add a splash of colour in the evening.